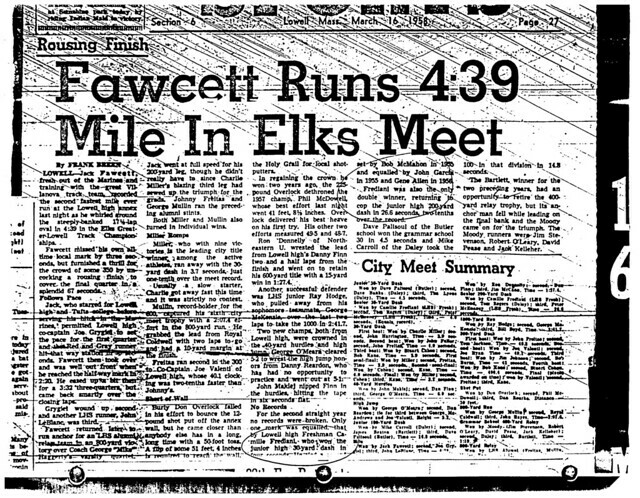 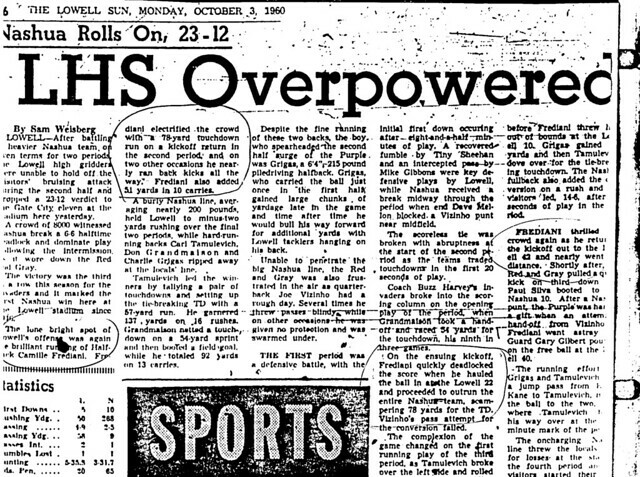 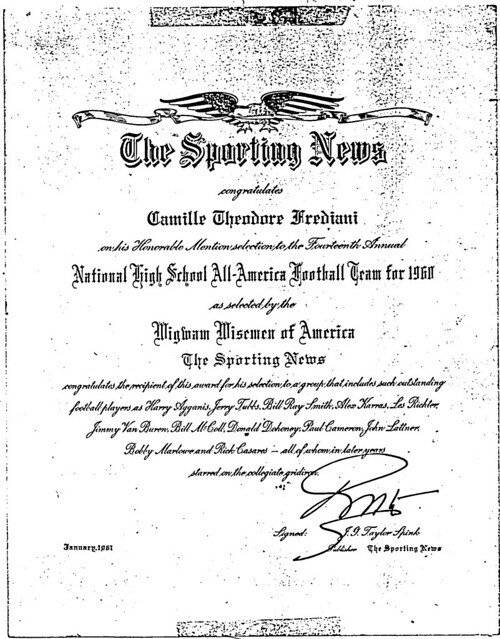 Blessed with outstanding quickness, Camille “Butch” Frediani etched a permanent place for himself in the annals of Lowell High School athletics through his exploits on the football field and the track under the tutelage of legendary Hall of Fame coaches Ray Riddick and George “Mike” Haggerty. 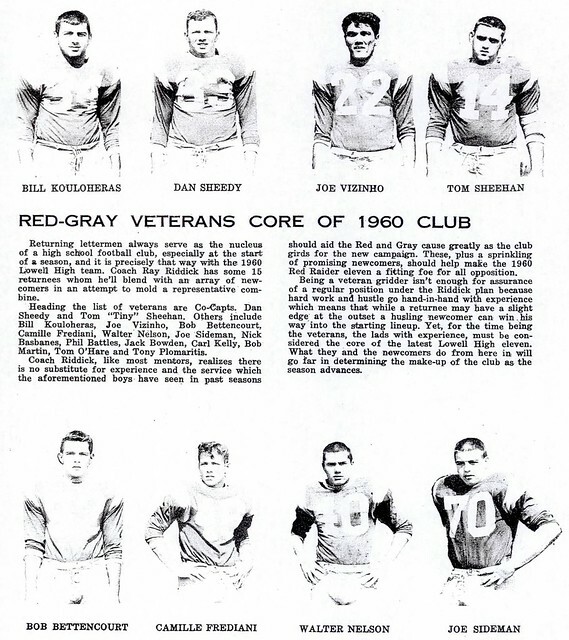 Utilizing his blazing speed effectively on the gridiron, Butch was a standout two-way halfback for the Red Raiders during his tenure on Kirk Street. 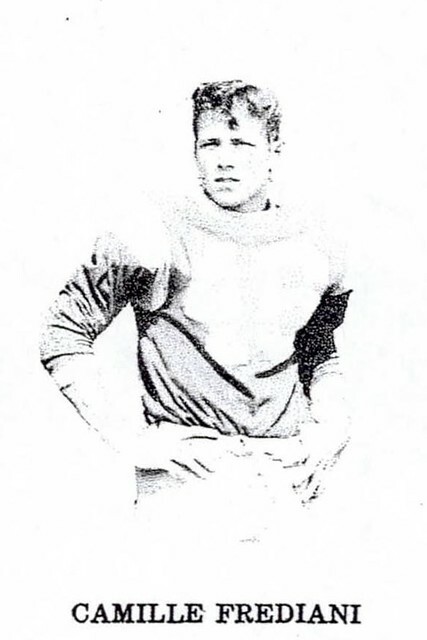 Always a threat to score from anywhere on the field, Butch was at his best during his senior season (1960). 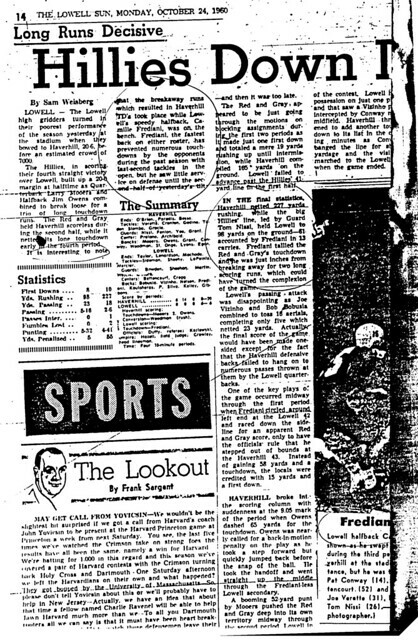 During that campaign, the talented back regularly flirted with and sometimes surpassed the magic 100-yard barrier in yards rushing. 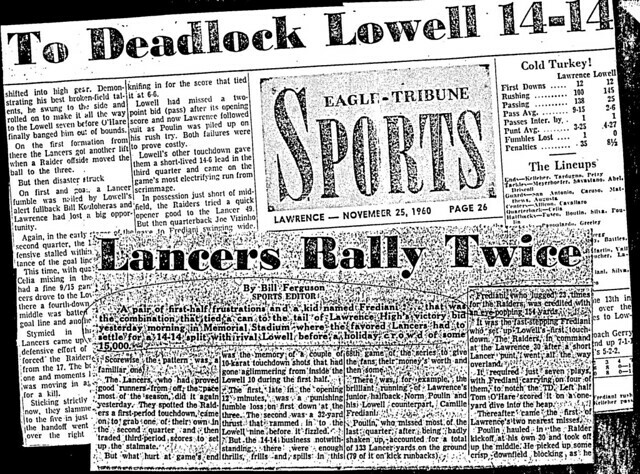 Highlights included a 144-yard effort in a victory over Peabody and a 143-yard performance (punctuated by a 49-yard touchdown burst) against archrival Lawrence in a 14–14 tie. 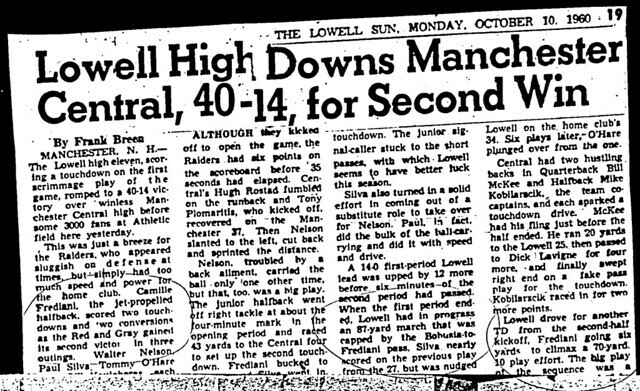 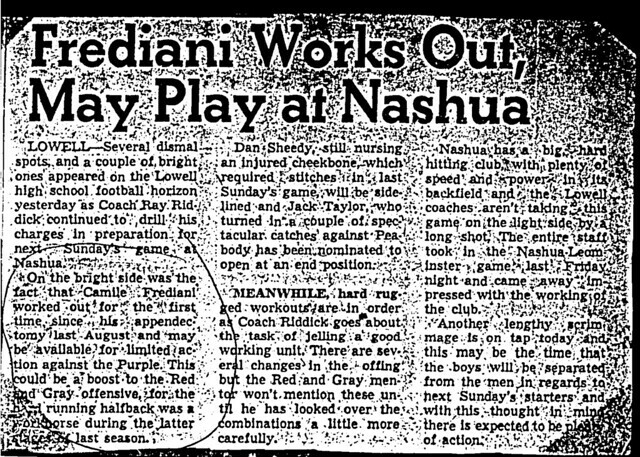 Other long TD’s included a 69-yarder against intra-city rival Keith Academy and a 78-yard kickoff return versus Nashua. 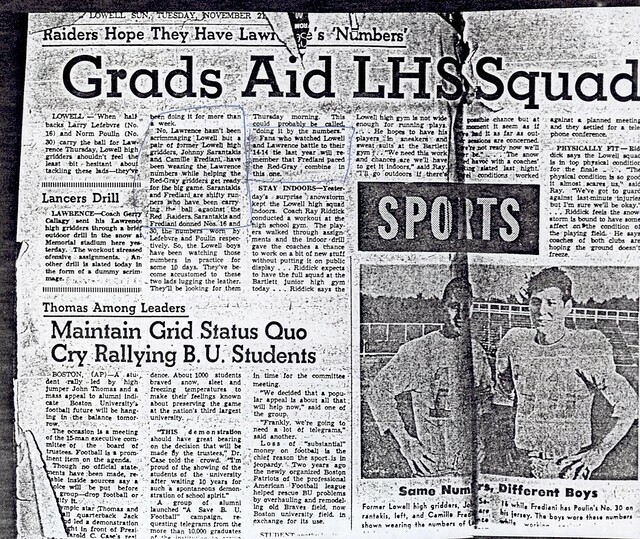 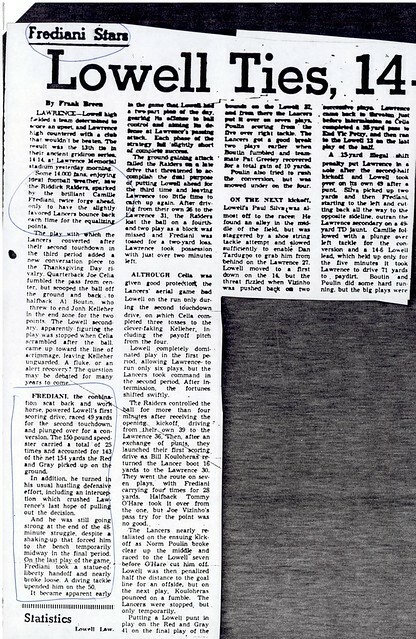 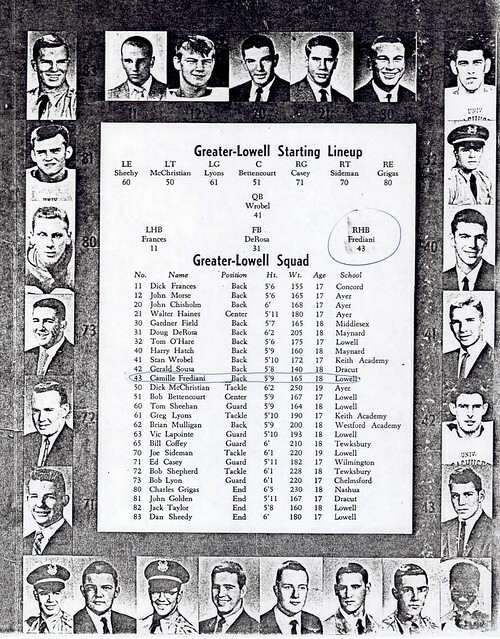 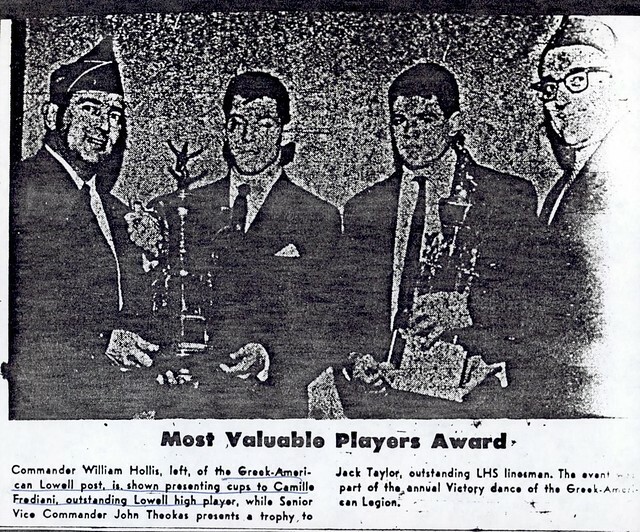 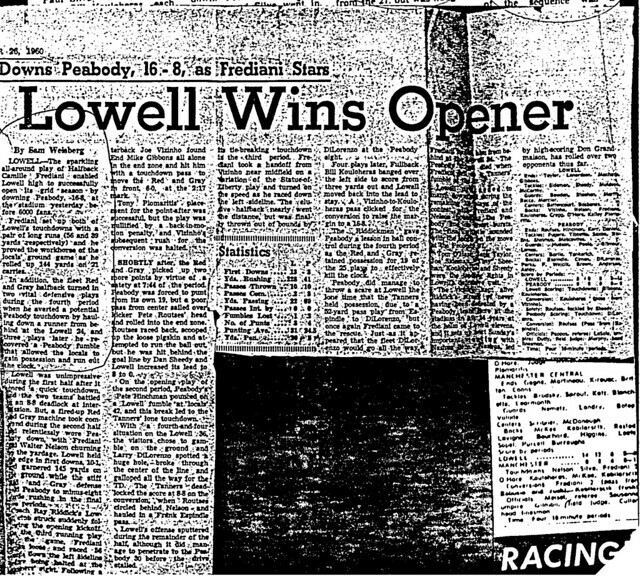 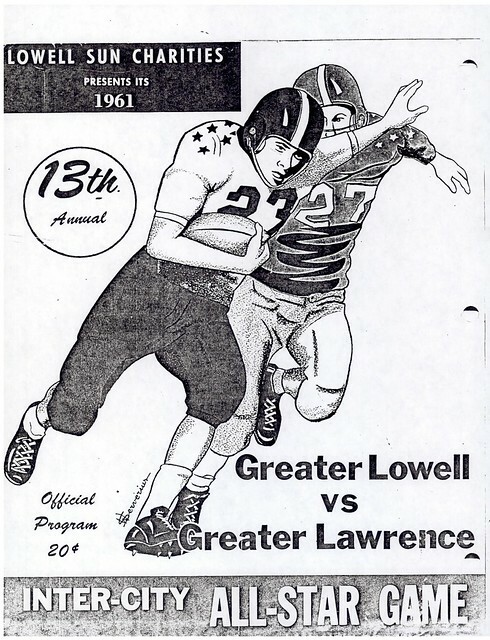 Butch was named the Most Valuable Player of the Lowell-Lawrence game in 1960 and was a starting halfback for the Greater-Lowell All-Stars in the annual Lowell Sun Charities Game in the summer of 1961. 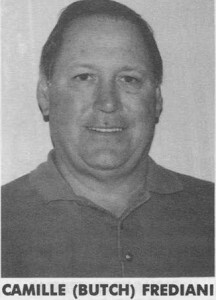 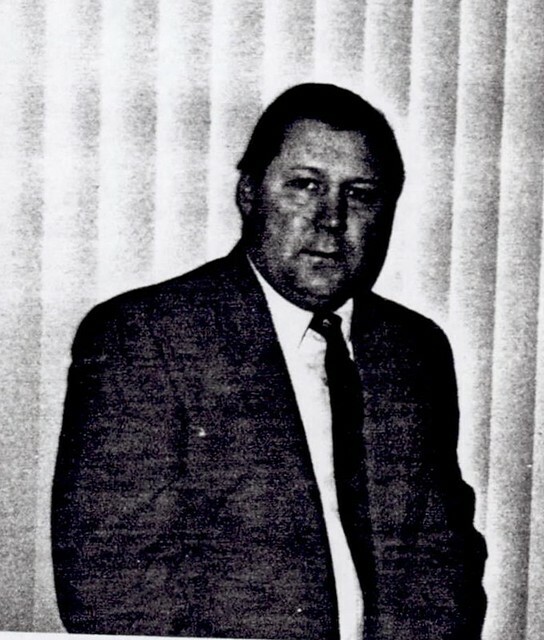 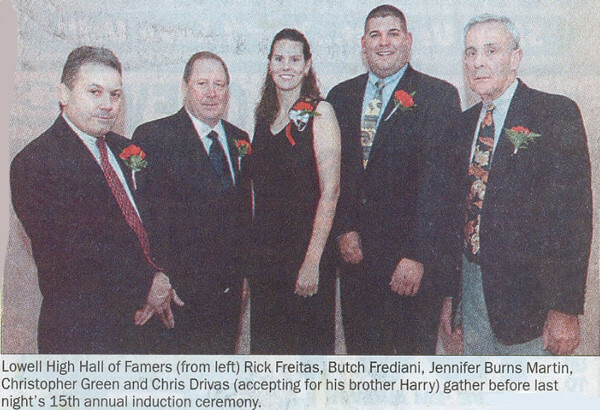 Butch received the ultimate honor for a high school athlete when the Sporting News named him to its High School All-American Football team following the 1960 season.